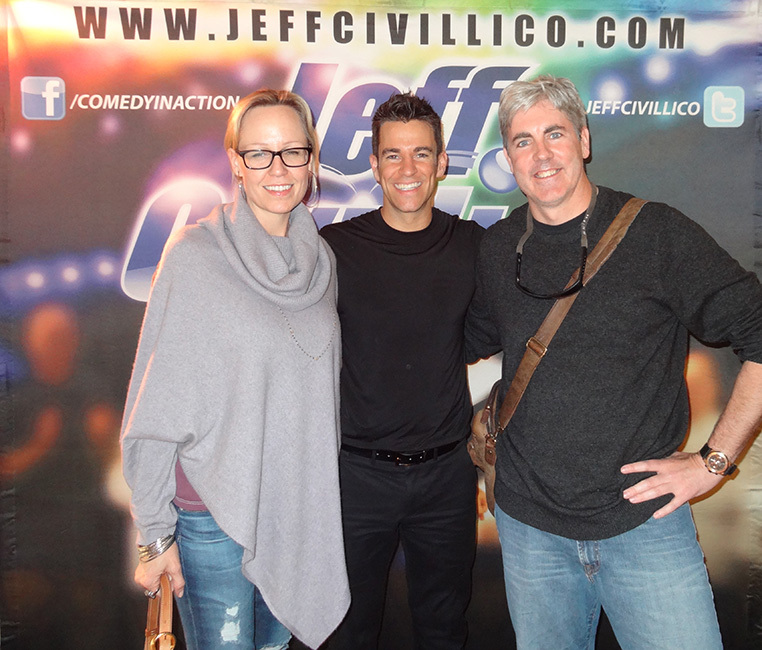 Jeff Civillico, Comedy In Action, is a hilarious daytime show packed with cool and quirky stunts. Family-friendly to say the least — kids love it! I’ve seen the show twice. Jeff is like the Energizer Bunny meets the Tasmanian devil, with awesome juggling and jokes tossed in. Plus he’s quick-witted. His humor is similar to Kung Fu Panda, Despicable Me, and Cars in that tons of adult quips are weaved into a playful visual story accessible to children. 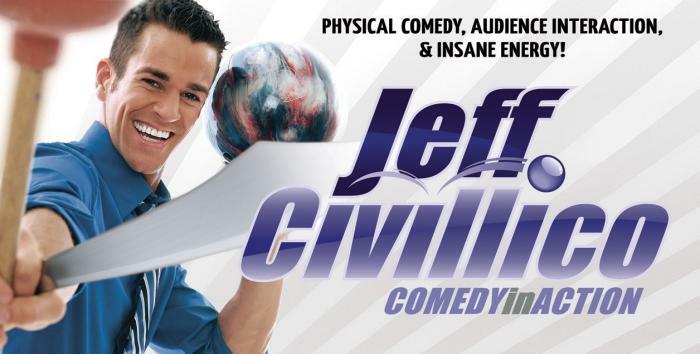 Jeff juggles everything from bowling balls to marshmallows to flaming torches to plastic chickens to “Shake Weights” to Arabian knives with marshmallows on the ends that he eats. Late in the show he turns off the lights and juggles glowing balls and rings to music, leaving the audience in a trance. But except for that trance part, the audience is laughing throughout the show! Jeff has constant, self-deprecating, shrewd one-liners about himself, Vegas, or modern society. This mixed with his skills make him a modern-day jester. He also listens well to audiences, feeding off their energy and comments with quick-draw comebacks or altering his performance and tricks to meet what they like. 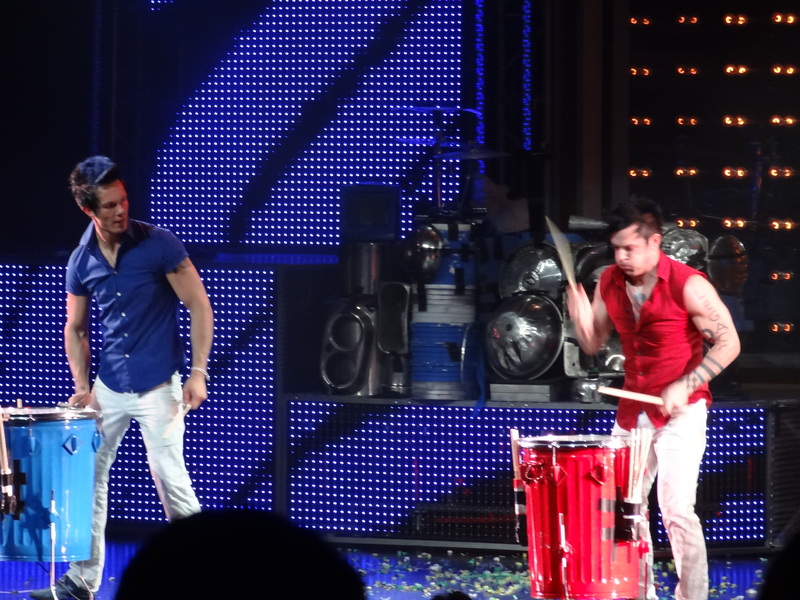 Even more, Jeff is adept at bringing up adults and children to the stage then adding them to the act. With adults, the result is usually hysterical and farcical antics that you don’t see coming. 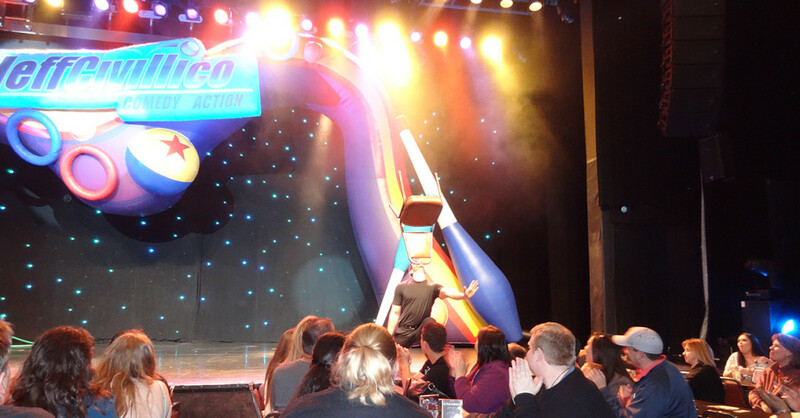 Using two audience members to hold steady his tall unicycle, he climbs over, around, and on top of them, in all kinds of silly compromising positions that leave them and the audience howling with laughter. When he brings children to the stage, often as young as four or five, he has them hold things while he balances and spins objects on top of what they’re holding. The children beam like lighthouses from the audience applause and amazement. I’m not sure who wouldn’t like this show. It probably appeals to everyone. 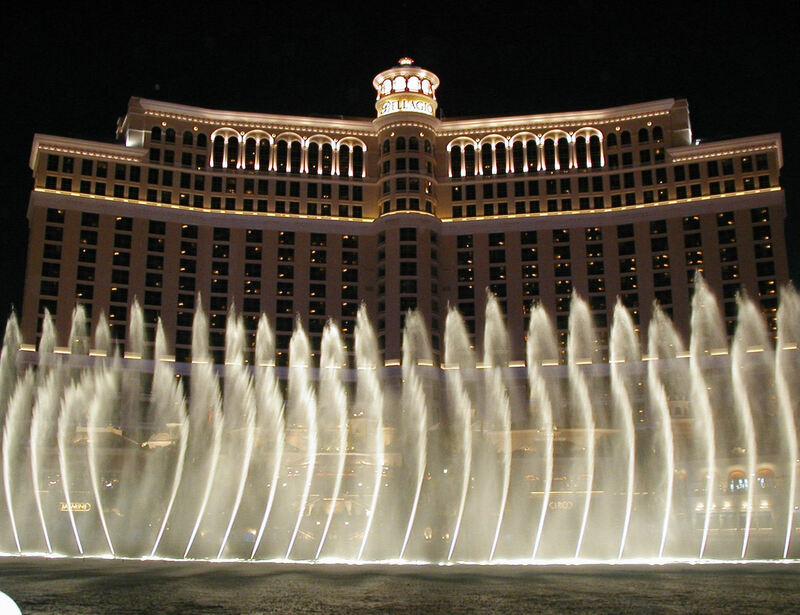 It can get you pumped up for a Vegas weekend or be the finishing fun before you depart. 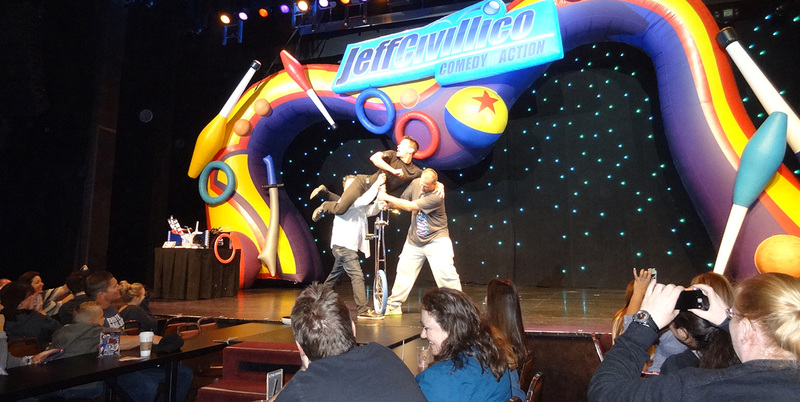 Locals like it, too, as Jeff continually freshens his performance with new themes, new tricks, and sometimes new performers as side acts. 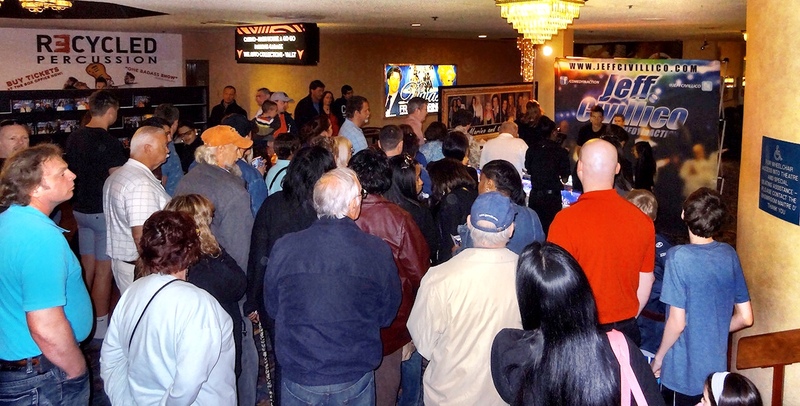 Best of Las Vegas just awarded Comedy in Action “Best Bargain Show” for 2014. For sure, it’s a steal for $33. I would pay twice this. And if you check out his Yelp or Trip Advisor reviews, he’s crushing it! 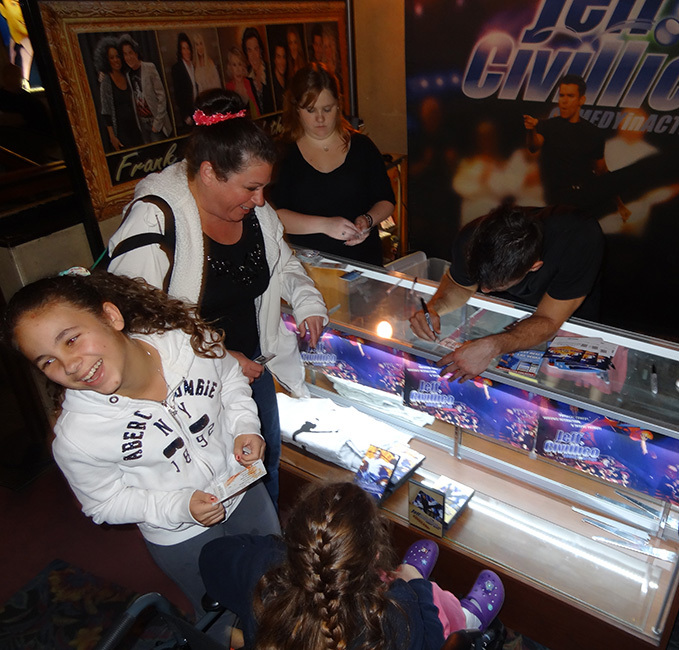 After the show, Jeff meets audience members in the lobby for pictures, autographs, or just to say hi. People love it, kids love it. It gets crowded. Several parents purchased juggling balls for their children, who had big excited smiles on their faces. That will be a positive, healthy, skill-building activity away from the TV or computer. And he was still making kids laugh while signing their tickets or dvds! Jeff’s show at The Quad runs every day at 4pm, except Tuesday and Friday, inside the Q Theatre. Jeff is also available for private and corporate bookings. 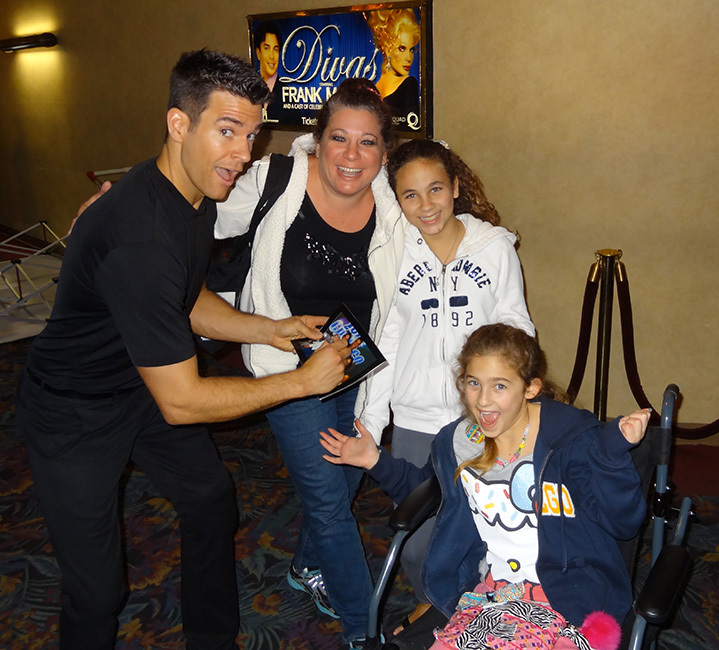 If all this wasn’t enough, Jeff Civillico is the Founder and President of Win-Win Entertainment. 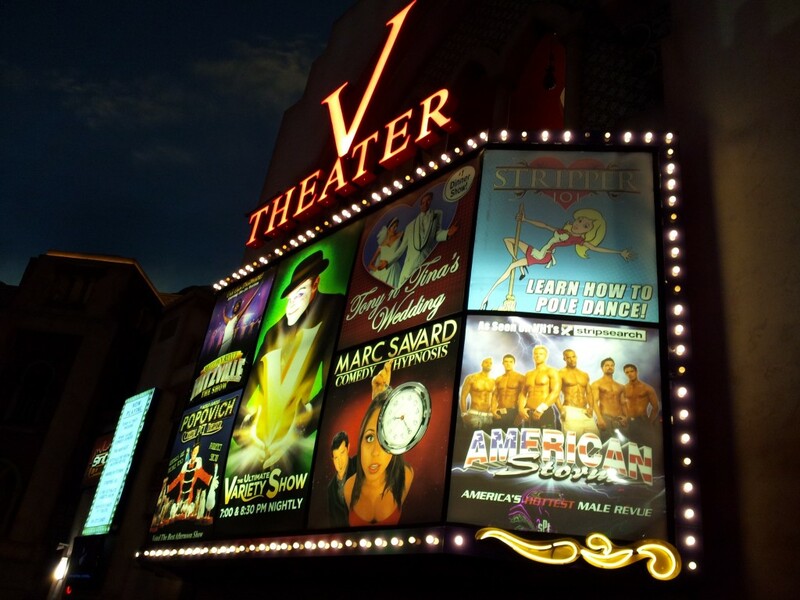 It’s a non-profit dedicated to matching performers and entertainers with charities. Jeff continually gives back to his communities and various charities while encouraging other talents to do the same.